In the last episode before First Dates takes a quick break, it was a night of infidelity secrets, and everyone bungling into the toilet. Yes more people were rushing to go to the toilet than they were offering to pay for the bill. In tonight’s episode Lee, 46 and father of two, got social media gossiping and gawping. The silver fox, referred to as a “DILF” by those who shall remain nameless, had come to the First Dates restaurant hoping to find someone special. So step forward forty-year-old and mum of three kids Hannah. Both Hannah and Lee had gone through some awful times in relationships – she had been divorced after her partner cheated on her. Likewise Lee had gone through something similar, only for Twitter to wonder what sane woman would have done this to the silver fox they so lovingly were obsessing over. It was little wonder Hannah, after bonding with Lee over festivals, wasn’t so keen for Lee to spend too much time talking to the pretty waitresses. “You’re old enough to be her father!” she told him. 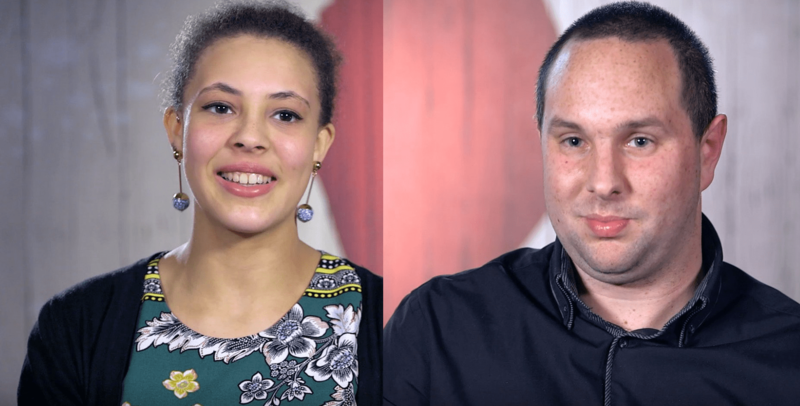 Also in the First Dates restaurant tonight was young receptionist Kirsty, originally from Wales, and now moving to London to settle down. Her ideal partner is a man who can be the “provider and protector” but was also a fan of the “triple Bs” – that’s a man who’s big, black, and provides banter. That narrows it down. Fortunately her date was 26-year-old Oliver, who couldn’t stop reiterating that he was all about the “banter”. He claims he is the one on a night out who gets “cracking on with the girls” and can tell within 5 to 10 seconds if he’s going to win over a girl. He seemed quite comfortable with this lifestyle, but his mum’s constant questioning about his long-term plans convinced him to apply for First Dates. Ten seconds into the date I wasn’t sure if Oliver had mastered this one. While he had his future in mind, he probably wasn’t quite expecting to be told Kirsty was ready for children, and that she was already considering private schools to send them to. She was getting straight to business. It’s little wonder Oliver left the toilet with a sweat after overhearing Kirsty debating whether or not they’d be banging by the end of the night. I too would be sweating if a girl had started the night outlining her plans for kids and a 2.4 family. Kirsty, however, had a hard time trusting men. She too had a story of infidelity involving her dad and someone she knew at her sixth form. Her distrust of men, and her longing for commitment, left you feeling for her by the end of the date. To my surprise Oliver was looking for another date with Kirsty (despite forgetting her name half way through), and Kirsty seemed willing to oblige, until the update at the end of the programme. The hunt for a provider continues. With 25-year-old part-time DJ Tom and classics student Olivia neither of them had any stories of divorce or affairs, so their date came as a refreshing interlude. For Olivia she had grown up at a Bristol all-girls’ school where it wasn’t unusual not to have left having not had one single boyfriend. So appearing on First Dates was a step forward for her, as it was with Tom, who was less confident away from his DJ decks. As lovely as the pair came across, the spark clearly wasn’t there. Tom was a dog person, Olivia was a cat person, and neither were particularly seeing eye to eye. Tom lived with his parents still, and Olivia clearly wasn’t digging it. He chanced it by saying he wanted another date, but Olivia had made her mind up as soon as she found out about the dog. At least she had got all the lowdown on Kent and its road network, should she fancy getting away from Bristol. Ever the gentleman Tom did cover the bill, and for this kind gesture he will be repaid with another visit to the First Dates restaurant next time. Meanwhile grandmother Mary, who claims to be anything but a “mutton dressed as lamb” was looking for a cross between Hugh Jackman and a straight Paul O’Grady. She was the spit of Bonnie Tyler, and has been known to be too picky on dates, which to me, leaves alarm bells ringing before she’s even met her date. She didn’t get along with a man into watersports (not like that) and she was turned off by her last date who wore keys around his belt. She too had been divorced twice, with her last husband straying from her too. Without judging her too much, perhaps it had more to do with the fact that Liverpudlian Brian, 64, was left mortified when she kicked off for offering to only pay half of the bill. Mary, who seemed to be channeling her Lily Savage, wanted Brian to offer to pay for the whole bill, and then she would have declined and paid half. Every series these incidents spark a debate on social media, and no one can really decide whether in the modern day women should be prepared to pay half, or whether men should be the gentleman and pay it all. Was she only there for a free meal? Nonetheless, I’m not surprised Brian seemed disappointed, the date had been going well until then, and he deserved some more appreciation. 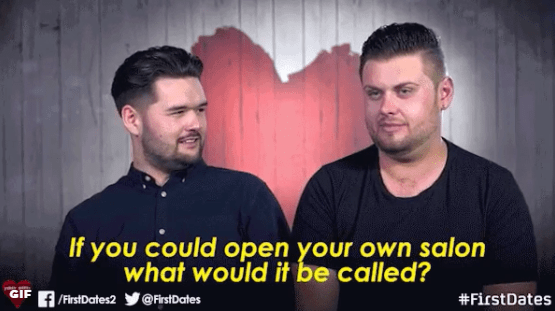 Where applicable, should men dating women offer to pay for all of the meal on #firstdates? The big finale of the night came from Joe and Spencer. Both hairdressers, the two could have been separated at birth. They both had a similar filthy sense of humour, both lacked a bit of confidence, and both had shed a lot of weight after going through Slimming World. Allegedly one had lost fourteen stone in just a day. The only difference was one came from Bristol, the other from Basildon. Spencer had also been through some heartbreak over the years, and was emotional by the time of interview, worrying whether Joe would reciprocate his desire for a second date. It all looked like a match made in heaven though, so I had no doubt about how it would end. The two agreed to meet up again, and joked a joint hairdressing venture under the name of “Blow and Go” could be the in the pipeline. As the two kissed and canoodled outside, watched by the waitresses and waiters, viewers were left wanting to know more about what happened after the filming, but on this one we weren’t given an update. I had my fingers crossed Blow and Go would soon be in existence but on further investigation Joe is back single again, having tweeted to say he never did see Spencer a second time. Spencer meanwhile is no longer single. The bubble was burst, but for that hour viewers believed cupid’s arrow had been a success. I’ve no doubt if there was less of a distance between the two it would have been. 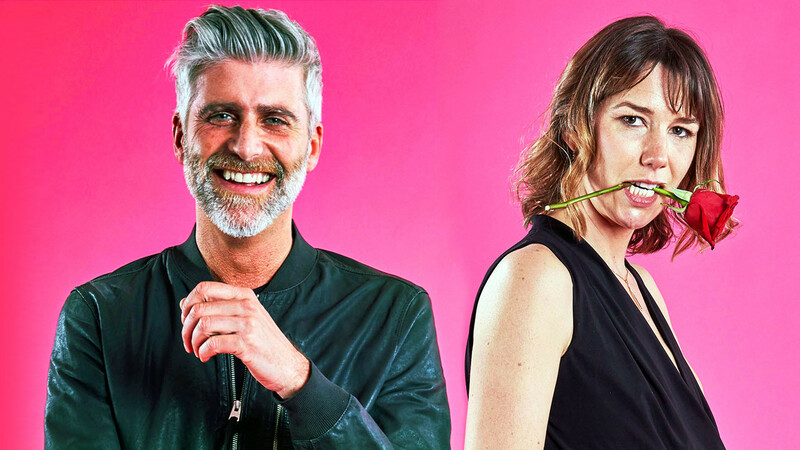 Watch First Dates on catch-up on All4. First Dates takes a break on Channel 4 and returns once the Paralympics have finished. 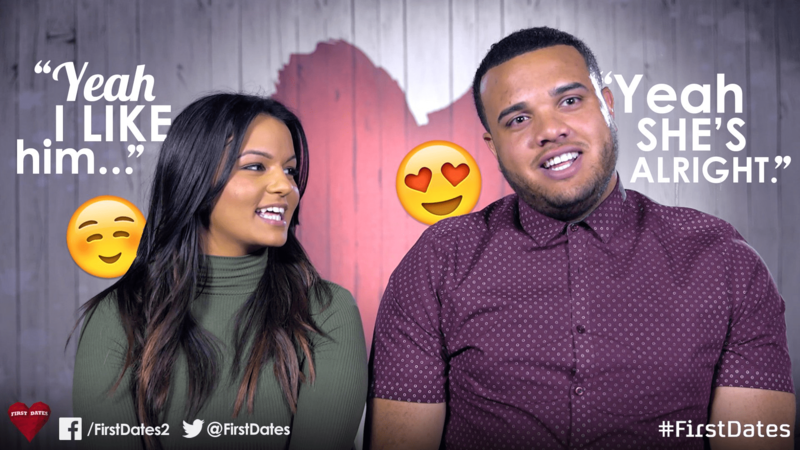 Read more reviews of this series of First Dates on my blog.